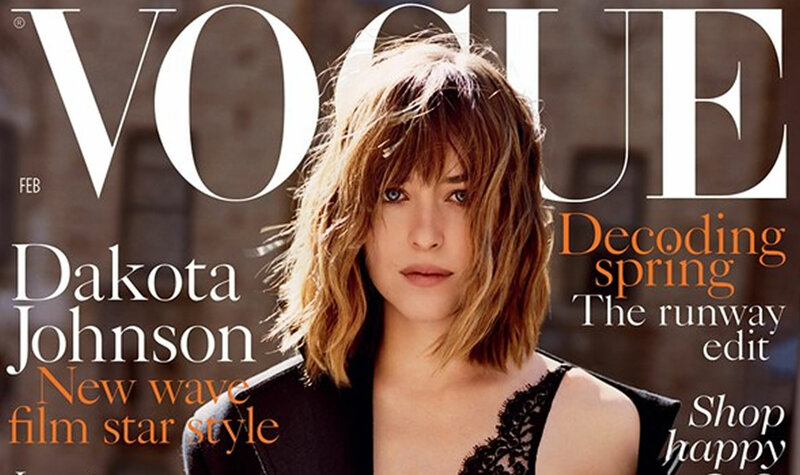 Dakota Johnson, know for her bold role in Fifty Shades of Grey, is appearing on the cover of the February issue of the British Vogue. Clad in a satin white and black lace night wear with a coat loosely draped over her shoulder, the 26 year old daughter of Melanie Griffith and Don Johnson makes her debut as the cover star of the fashion bible. To read Dakota Johnson’s full interview, fans need to wait as February Vogue is set to hit the newsstands on January 7th.